2. Due to manual measurements, allow measurement deviations of 0.5-1". •The tape has good toughness, and it is not easy to have creases and is not easy to break. 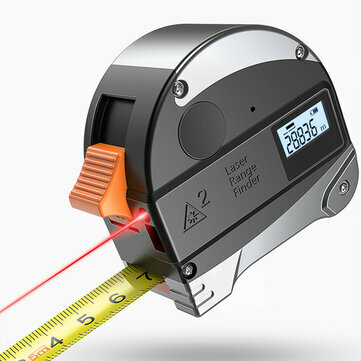 •Tape measure can be use to measure short distance directly up to 5 meters. •Powerful forward blade lock makes locking strongly and using easily. •30 meters la-ser digital measure make long distance measurements faster and easier. •Simple and easy to use with just one button operation for quick measurement. •With LCD with backlight for clear reading even in low-light conditions. 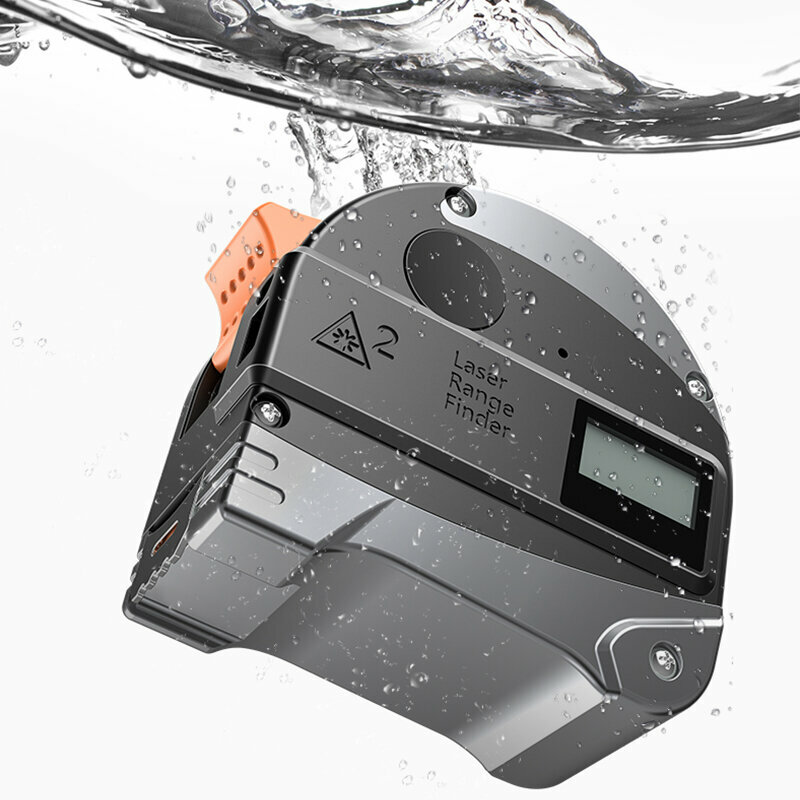 •Automatic/manual power off and laser auto shut-down function. •Portable and compact size easily fits in your hand and can hang on a belt. •Widely used in interior decoration, indoor design, construction field.